With the Snom 320, 360 and 370 Expansion Module, your Snom has the best features to meet the requirements of executive and administrative staff who require high call coverage and flexibility from communication systems. Snom's portfolio of cutting-edge SIP-based telephony devices are recognized for their rugged commercial grade performance, reliability and ease of interoperability which has made snom the VoIP handset partner of choice for the industry’s leading VoIP service providers, hosted VoIP, IP PBX and Unified Communications solution vendors. VoIP – more than the right choice! Say goodbye to high costs for conventional telecommunications systems. Don't pay double for telecom and internet services. Say hello to Voice-over-IP telephones by snom! Move your office or change your domicile and make telephone calls immediately without any hassles. With VoIP, the time-consuming switching of telephone connections is a thing of the past, as is the need for external engineers, who are often expensive. Wherever your workstation is located, the registration to the PC network is sufficient, and you can immediately use your personal telephone environment with your personal extension! Know who is available: You can easily recognize who of your colleagues is busy by looking at the signaling on the name keys. Receive calls when absent. You can have these sent to you as a highly compressed e-mail attachment. This means that you can be kept up-to-date any time, any place. Naturally you can also forward your calls. Parallel use possible: There's no need to replace your whole telephone system straightaway. You can integrate snom VoIP components into your existing telecommunications environment. The combination with numerous devices of other established manufacturers such as Cisco, Siemens or Microsoft Messenger guarantees you the greatest possible independence. With the VoIP telephones you are choosing the optimum level of functionality and comfort currently offered by VoIP in terms of quality, security and equipment. In addition to the common standards, the Linux-based SIP telephones support the most modern technologies such as STUN (Simple Traversal of UDP through NATs), NAT (Network Address Translation), VPN (Virtual Private Network) and ENUM (telephone number mapping). You will also have decisive benefits through high interoperability. The combination with numerous devices of other manufacturers guarantees you the greatest possible independence and investment safety. Whether it's CTI- (Computer Telephony Integration), VPN (Virtual Private Network) applications, or integration of the Microsoft Office Communication Server 2007 with the snom OCS Edition – snom phones today are on the cutting edge of the technology and more than ready for the future. The basic model of the snom business telephone family, the snom 300, fulfills the most important requirements of VoIP telephony and additionally offers numerous functions that are indispensable in the business world. For effective everyday work, the snom 300 provides all relevant office functions such as choice of trunk line, status display, group lines, the engaged option or picking up calls. VPN and a server-independent CTI (link to Flexor Eumel) are now also no problem for the snom 300. A two-line LCD display enables the display of call information. The menu-driven user interface makes it very easy to manage numerous features. The user is guided intuitively through the phone menu via the navigation key. Additionally, more complex phone applications, call details, and configuration variations are accessible via the browser of the connected PC. The Snom 300 is designed for different environments: For use in small offices, call centers, lobbies, recreation rooms, as well as at home. With its numerous phone functions, the demands of everyday communication can be managed easily. The snom 300 has a headset connector and can be used as a tabletop phone or wall-mounted phone. Its energy consumption of 1.0-1.5 W-hr is lower than that of most competing products. Ideal for the office and everyone who spends a lot of time on the phone, the snom 320 is an affordable, yet powerful SIP business phone with built-in, full-duplex speakerphone and three-party conference bridging. A 2 x 24 semi-graphic LCD display and menu-driven user interface support an uncomplicated feature management. 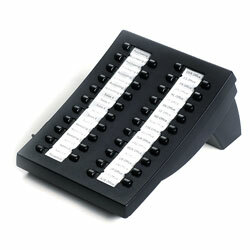 12 programmable keys with LEDs support quick access to important extensions. Call list and address book can contain up to 100 entries each, and entries can be added and changed easily. Other features like blocking anonymous calls, downloading ringtones, auto-answer mode, DND mode, and the easy installation of VPN (Virtual Private Network) are only examples from an abundance of functions which make phone use convenient and comfortable while increasing productivity. Additional applications like the snom Flexor Manager further enhance the functionality. Installing the Snom 320 is child's play and possible on the phone itself as well as by remote configuration. Further advantages are extensive Codec support and wide-ranging compatibility with SIP components made by other manufacturers. The support of STUN, NAT, ENUM, and numerous other functions allows flexible utilization behind local proxies, IP PBXs, and hosted VoIP services. Concerning security, the snom 320 protects you with SRTP and TLS against wiretapping and unwanted access to signaling and authentication data. The Snom 320's built-in three-way conference bridge eliminates external devices and services while offering high audio quality and minimal latency. These savings together with the snom 320's very low energy consumption (1.0 to 1.5 w-hrs in standby) and PoE (Power over Ethernet) truly help to lower your costs.